Texas lawmakers can avoid a special session if the House and Senate can pass two bills, House Speaker Joe Straus said in an unusual letter sent late Monday to Lt. Gov. Dan Patrick. Those bills? The state budget — Senate Bill 1 — and legislation that would save agencies meant for review from closing their doors if lawmakers don’t complete those reviews. The letter is an out-of-the-ordinary note in a 140-day session where the leaders of the two chambers — and the governor whose office sits halfway between them — are in regular contact. 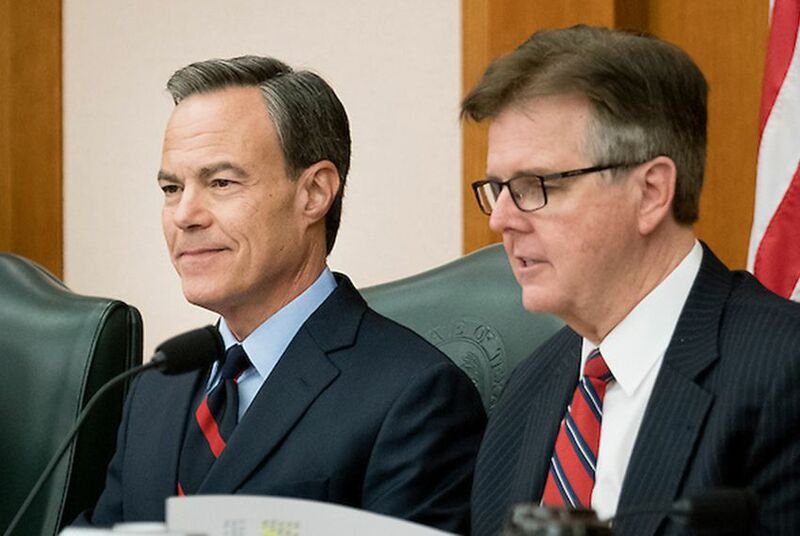 It underscores the deadlines looming over legislation that still hasn’t passed — like the two required bills Straus mentioned — and the public positions around the private negotiations normal at this point in the process. It will probably take more than those two bills to get out of town. Patrick put more than two dozen bills on his own list of priorities early in the session. Many of those haven't passed yet. In his letter, Straus referenced written comments by Sen. John Whitmire, D-Houston, that were handed out to reporters last week, noting the work the Senate had done early and the slow pace of legislation in the House. As the Legislature grinds its way through the final three weeks of the regular session, the state's top three leaders are pushing and shoving, figuratively speaking, to the finale and beyond — to the 2018 elections. The Texas Legislature is moving into the part of the calendar when certain dates are circled in red. More bills are killed by clocks and calendars — by those circled deadlines — than by votes. A Texas governor's powers peak at the end of a legislative session, as deadline-haunted legislators begin to fear the threat of a veto from the state's chief executive.